Earlier this month, Morgan Linton wrote a post about the extension of .GG regarding it’s increasing popularity in the eSports world，in which he talked about some of the gaming sites that use .gg website addresses. For me, .gg extension makes sense as GG means Good Game as players often say after a game, and many gaming outlets have taken it up as their favorite extension, the likes including cloud9.gg, op.gg, Mibr.gg, immortals.gg, and even Facebook has made an entry with Fb.gg, though facebook is redirecting the domain to Facebook.com/gaming. 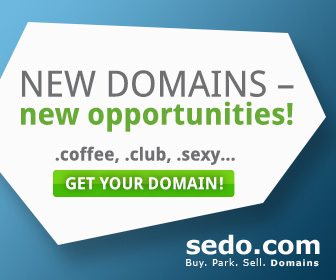 When it comes to domain sales, the record from Namebio shows that in 2019, bet.gg was taken for 8503 USD at Sedo, t1.gg for 1864 USD at the same venue while 2018 saw win.gg scooped 5000 USD, pd.gg for 2500 USD, and back in 2016, f.gg was acquired for 13,339 USD, w.gg for 10000 USD, fo.gg for 3601 USD, 7.gg for 44,074 USD, i.gg for 9860 USD, gg.gg for 8160 USD. A big .gg domain sale reported in China was 555.gg for 150,000 RMB ( equivalent of 25,000 USD). Based on the numbers, it’s easy to see that there is definitely a market for short .gg domains and some would even pay good money for them. If you have got a good eye for it, then it certainly would be a Good Game for you.